Albert Duckett's cycle shop at 719 High Rd, Seven Kings, London is chiefly remembered for supplying wheels to any specification, to a high standard. Racing riders came from great distances to buy their wheels at the shop..The slogan "Wise men in the East All go to Duckett's" was used in advertisements. What is not known is that Duckett also built his own frames. Duckett was born around 1880, and died in 1966. An advertisement in 'Cycling' magazine on 25 September 1925 claims "over 20 years' reputation". The first shop opened in 1922 at 619 Romford Rd, Manor Park, with cycles branded as 'Elite'. There was a workshop at the back where frames were made and the bikes assembled. A fire in 1932 destroyed the workshop, and led to closure of the cycle shop. Jack when he returned from war service. Albert Duckett was a small, well-built man, always wearing a brown warehouseman's overcoat. He was addressed as Mr. Duckett, but is remembered as a very nice man, always kind, jolly, and a real gentleman. The shop became a sort of informal clubroom. People would stay in the shop after hours. By 1950, his vision was very poor, but he continued to finish all wheels built while he was in the shop, by feel and sound. He stopped building frames in the shop, but frame repairs were still done there. Herbie Stokes, and later Vic Edwards (from 1958)took over the frame building. It is believed that some frames were built by Ephgrave. In the 1950s, some felt that the Art Deco head transfer was rather dated, so the ordinary models were given the round pre-War 'Elite' transfer, complete with obsolete address. 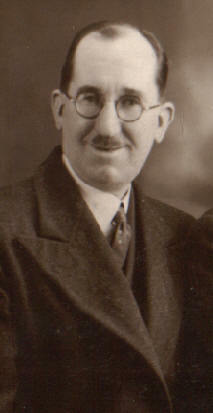 In the post war years, there were two employees, David Whiting, and Tommy Smith, who became manager on Duckett's retirement until the closure of the shop around 1967.